When it comes to long exposure photographs, it's too easy to forget some basic compositional components. 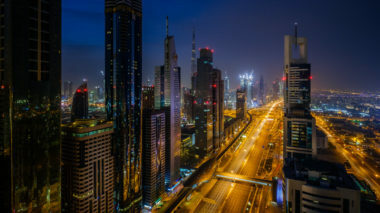 In this article, you are going to learn about the importance of having a focal point in a long exposure photograph. But before you start, you must understand the meaning of focal point. A point of focus, or focal point, is defined as the center of interest or activity. Don't take the word center literally, though, as a focal point does not have to be perfectly centered in your frame. In fact, you are encouraged to have it anywhere else for a better composed photographed. Think of the focal point as the one object in your scene which makes up the majority of what the photograph is about. It's something which is in focus even if everything else is not. It's something that people will remember before forgetting the rest. 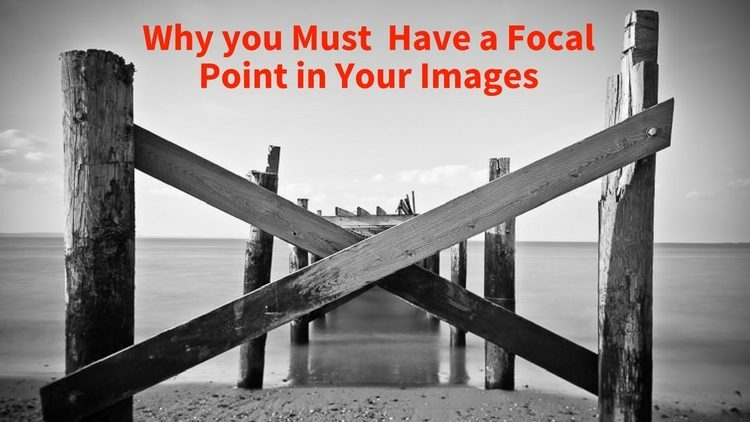 Why is a point of focus important? As you just read, without a point of focus, the viewer can get lost in a photograph. Without something to act as the glue, parts of a photograph can feel distant or alien from each other. So by having a point of focus, you are giving your viewer a complete story, instead of a Mad Lib to fill in blanks. Now that you have an understanding of focal points, and know the benefits of having them, take a look at some real world examples. And visualize how these scenes would look without them. This photograph from a county fair has many people moving around. So many that there are tons of blurry streaks moving horizontally across the scene. 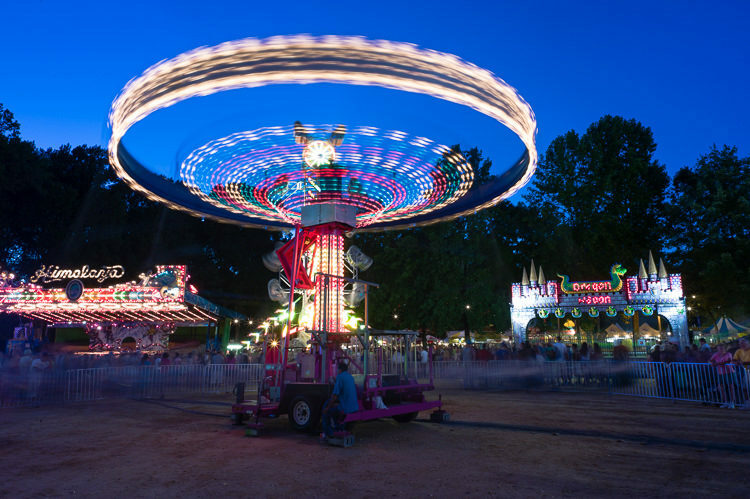 The amusement ride is also blurred with light streaks spinning in circles. The photograph is a lot of fun. But without the center of the ride still, your eyes wouldn't have a place to rest. You would be looking aimlessly at all the movement with nothing in focus. 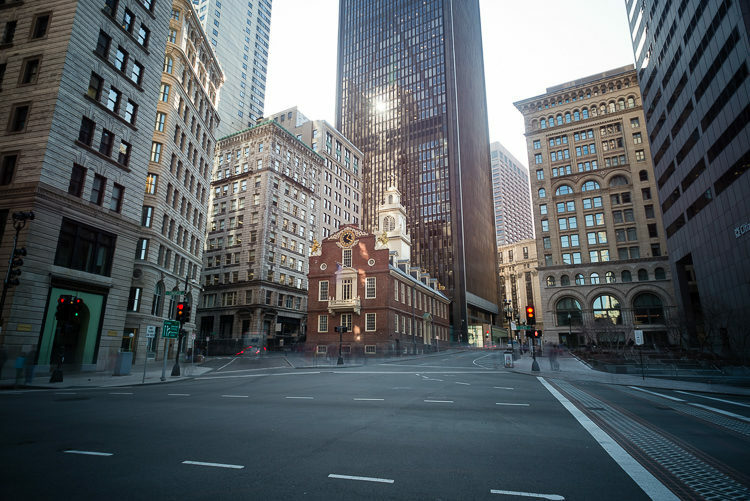 This photograph from the financial district of Boston, Massachusetts had an exposure time of 60 seconds. Being so long meant that anything in front of the camera would be blurred with movement. If you look closely, you might notice a bus driving by, or the people walking in the distance. At the same time, you'll notice that the building just off-center is perfectly in sharp. Having that focal point keeps the composition held together and still lets the viewer branch out to find easter eggs, like the bus. This photograph was made on a beach in New Jersey not long after Super Storm Sandy destroyed so much of the coast. What was once a popular fishing pier turned into a rubble of garbage, rusty metal, and wood. I loved that the pier which looked like an X was blocking someone from walking into the water. But as you can see, the water is perfectly smooth. That is due to the 25-second exposure. If the remains of the pier weren't there, this would be a horrible composition because the photograph would be one of the shells and sand, which are so small, smoothed water, and a soft sky. There would be nothing for your eye to focus on, that's a problem. 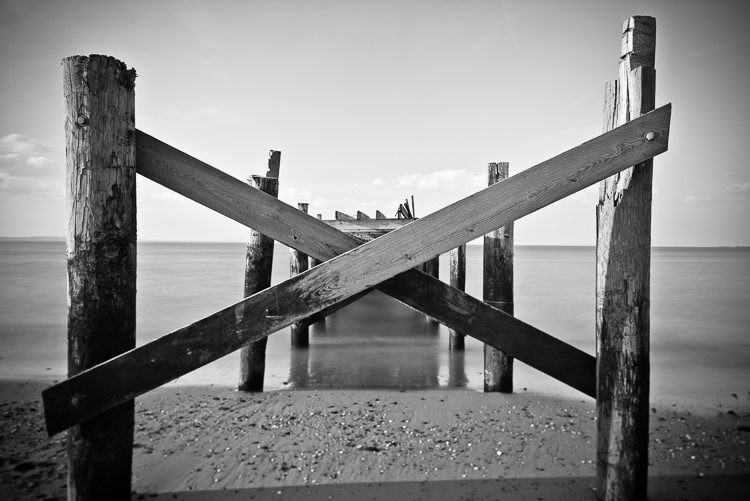 But imagine if the X wasn't there, and instead, it was layers of wooden pillars bringing your attention to the water. That would be a different story, but equally powerful and engaging. If that were the case, the pillars would become the focal point. This photograph is closer to what you just imagined. Except there is still a focal point. 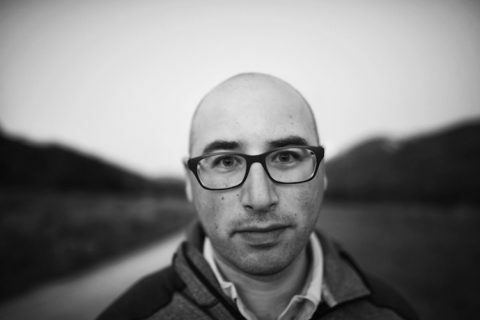 Having a point of focus is even more important when the photograph is minimal. In this photo, you are being directed from the pier into the gray and white abyss of the water and sky. Your eye is directed where to go, by the simple act of including a focal point and composing it a specific way in the scene. In this case, on one edge aiming towards the opposite edge. 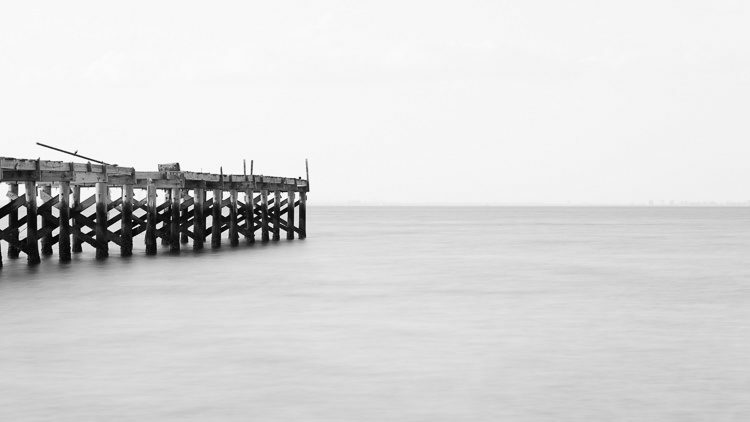 The photo above of the pier is minimalist and monochrome, which strengthens the need for a focal point. But in a photograph like this silhouette which is color, it's also important. 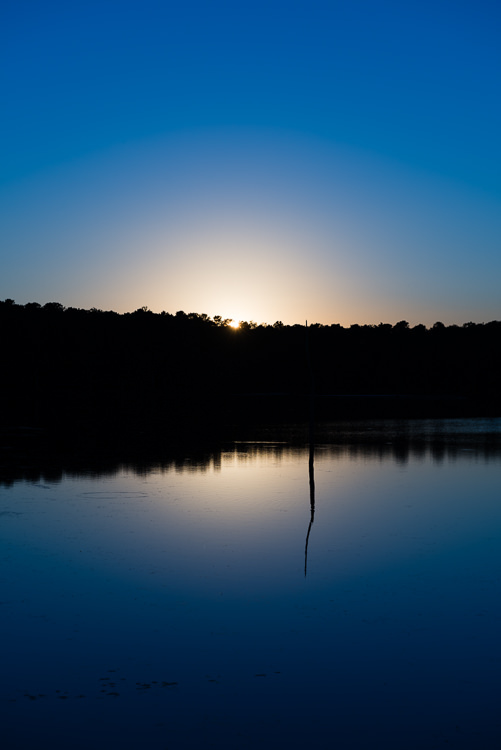 This one, in particular, is minimalistic, a silhouette, and also a long exposure. So there is little in focus (without zooming in). But that's okay. A focal point doesn't have to be in focus if it still acts as the glue to the photograph. In this photograph, the lens was focused on the trees in the distance, but the hyperfocal distance worked well. The hyperfocal distance is the closest distance, in feet or meters, at which a lens can be focused while anything at infinity is sharp. As it turned out, the object you see beneath the tree line was in the hyperfocal distance range. So it is also in focus and has become the focal point of the photograph. It's the point of focus because it stands out above everything else. It sits alone in the water, with nothing surrounding it. It's separated from the trees. This photograph was taken in Asbury Park, New Jersey at the famous carousel. There's no carousel there anymore, and the building is falling apart at the seams. But it's a beautiful structure and place where it's a lot of fun to people watch or do street photography. Or in this case, boardwalk photography. 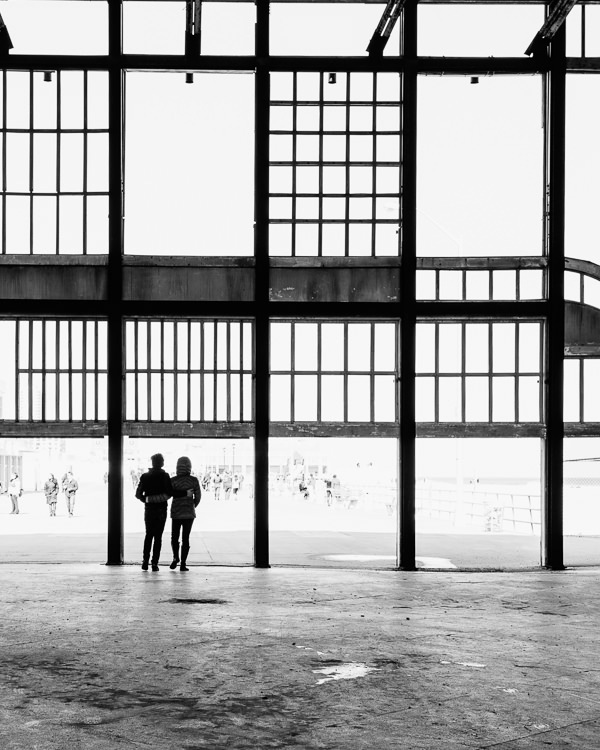 The photograph is a lot of fun to view because of the couple standing in one of the doorways. But imagine if they weren't there. Yes, you would see the faint images of people outside on the boardwalk. You would see the lines of the building and the texture on the floor. But nothing would be completing the story. The couple is the story. They are the focal point. Photographs like these are so much fun. Standing in water, or balancing on a rock for minutes at a time just for a long exposure. Seeing what's underneath still water brings life to a static image. But a scene like this would not be as fun or as strong of a composition if that tree wasn't there. Imagine if all you could see were the trees in the distance, the fog and the still water. What would stand out? Maybe the long log under the water, or the color of the leaves in the distance. Maybe those would become the focal points. But they wouldn't be as prominent as the one you see here. This is proof of what you just read. 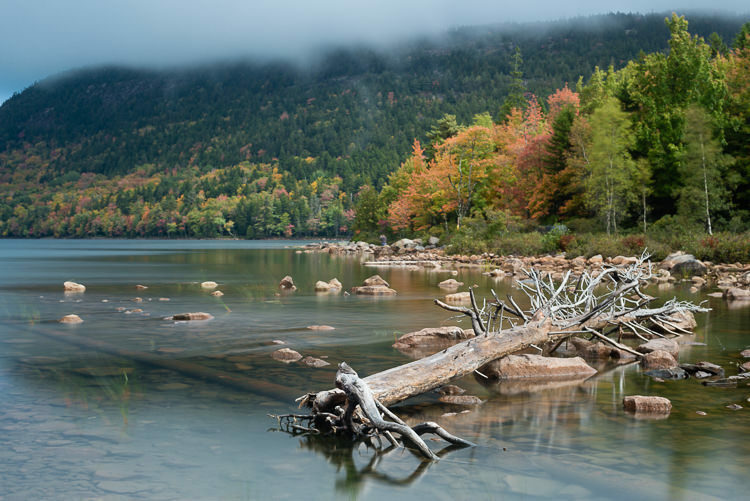 This photograph has a lot of great elements to it, from the colors of the water, sky, and trees, to the rocks and logs just visible under the water. But there are no other elements that are obvious as focal points. So nothing is holding the photo together, to complete the story. 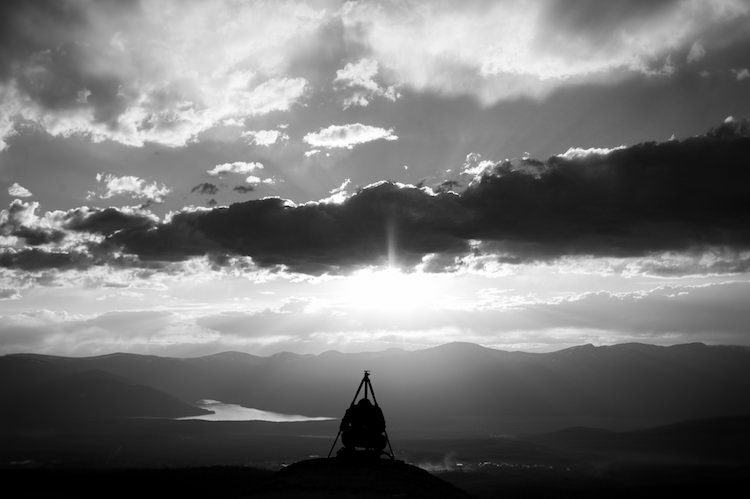 Each year a group of photographers gathers somewhere in the world with one goal. To photograph new places and enjoy great times with friends. A new tradition is to create patches with iconic scenes from the places we're photographing. The patch for the 2015 trip was of the Whitman County Growers grain elevator. This is the scene we used for the patch. 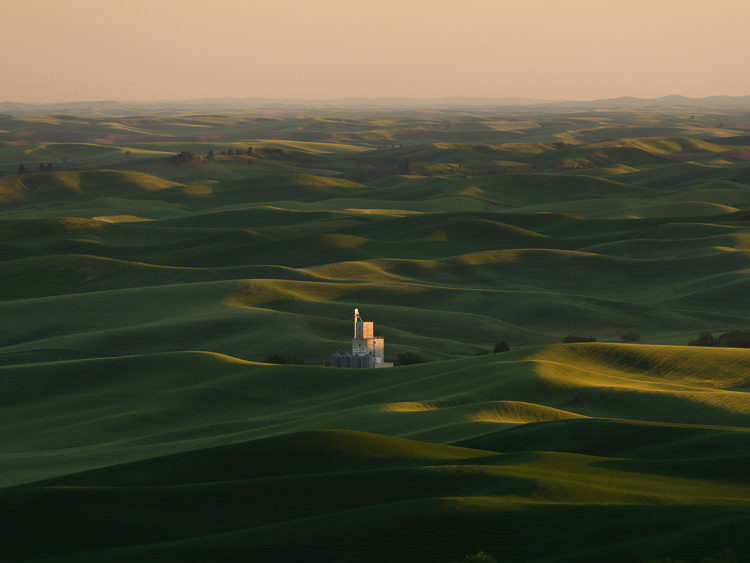 The Palouse region of Washington State (USA) is known for their rolling hills (get a free ebook of photos of the area – click here). 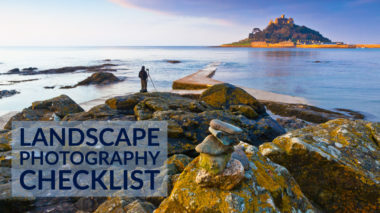 It's one of those areas and scenes which so many photographers have on their bucket lists. A scene like this is easy to get lost in. There are so many colors, shadows, and patterns to photograph. It's easy to capture with a wide-angle lens, too. But there are so many things that can go wrong by doing that, and one of those things is the lack of a focal point. This photograph is filled with color, texture, and movement. But, there is a constant that remains. The building just below the center of the frame. It doesn't move, it's bright and it also has beautiful light on it. It's the focal point, and the waves of green fields surrounding it, are complementary. Without the building the photograph would not be as strong as it is, it would just be green hills. 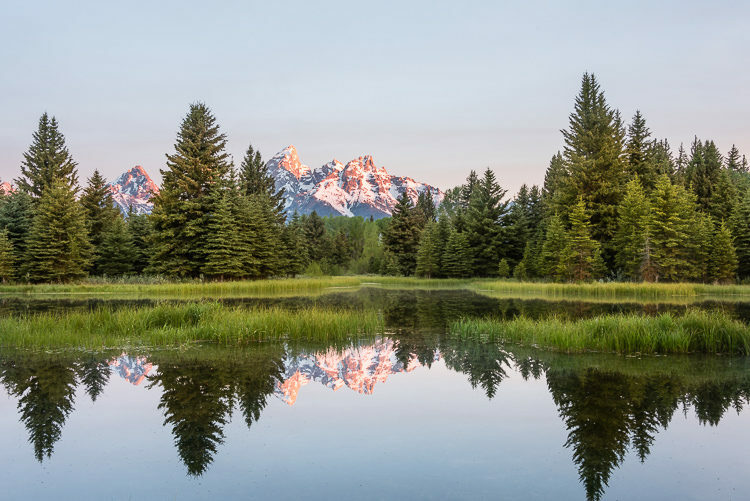 This last photograph from Grand Teton National Park is an example of one that doesn't need a separate object as the focal point. The point of focus is the trees. They are what stand tall, bright, sharp, and clear. 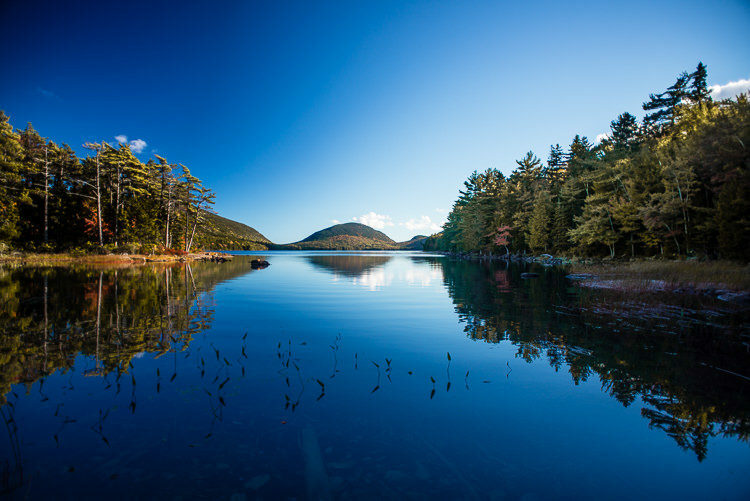 The water, sky, and mountains are the complementary elements which finish the story. The trees are the glue to that story. But if you imagine this photograph without the trees all you would be left with are the water, sky, and mountains. Although, the mountains are so far in the distance that they can't be the focal point. To make them so, you would need to zoom in much closer. So it can be done, just not with this composition. At this point, you are read about the importance of having a point of focus in every photograph you make. You have seen real-world examples and visualized how photographs would look without focal points. 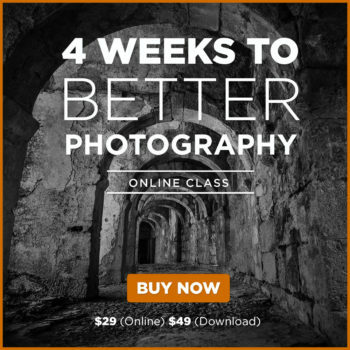 It's your turn to go further with your compositions and include obvious points of focus in your work. If you try and fail, then try again. Never give up and keep learning.